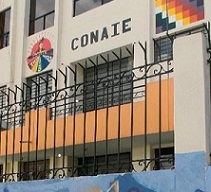 Translator’s note: The government of President Rafael Correa in Ecuador has called for the CONAIE indigenous movement to leave its Quito headquarters, a building they have occupied since 1991. CONAIE leader Jorge Herrera says this is a political move on the part of the government to repress the indigenous movement and marginalize critics. CONAIE is refusing to leave their offices and pledges to continue its struggle. 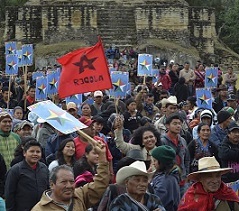 Below is a translation of a letter on this topic from sociology professor and long-time ally and analyst of Latin American social movements, Boaventura de Sousa Santos to President Rafael Correa. Also see CONAIE’s website for more information. I passed all of September 30th of 2010 in the CONAIE headquarters along with various friends, including Alberto Acosta and Humberto Cholango. A police uprising was going on and you were taken prisoner. They were long hours of uncertainty and much debate. There were some who argued that your hostile politics in relation to the indigenous cause did not give the movement any incentive to defend you. There were some who thought – such me, my two aforementioned friends and many other people – that the survival of democracy was at stake and that, in that moment, you were its guarantor. The discussion was long but the final decision was very clear: there was a need to defend democracy and do everything so that the President returned to Carondelet [the government palace]. This is what happened, and you returned tired but rewarded for all of the risks lived throughout that day. I left the CONAIE headquarters satisfied. On that occasion, as in so many others in the past, that building was the guardian of Ecuadorian democracy. For those who think, as I do, that societies are only worth as much as their citizens’ collective struggle for a more inclusive and democratic society, the memories of those struggles are part of the country’s patrimony and can never be erased. Those who believe the opposite end up paying a high price: they are the ones who are erased from the memory of the people. The legal justifications aside, kicking the CONAIE out of its building is an unjust and politically imprudent act. 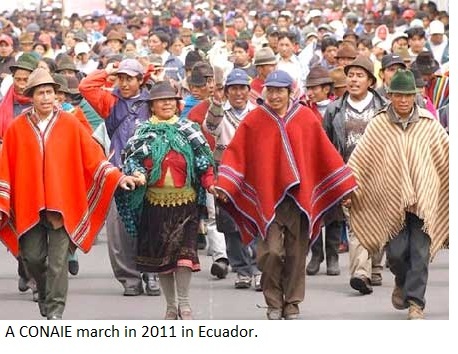 Because I have been on your side in so many occasions, I now have many questions: Why waste in such a foolish manner a unique opportunity to transform Ecuador into a more just, intercultural and plurinational society? How is it possible to not see that an opportunity such as this will not return for many decades? How is it possible to turn our backs on a people’s victory such as the Sumak Kawsay [an indigenous concept of living well]? How can adversaries who we should be debating be so easily transformed into enemies to be crushed? 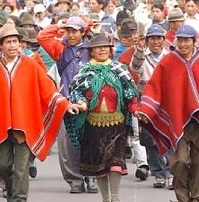 How is it possible that the racist genetic code of the Latin America left tramples us when we least expect it? Mr. President, know that in throwing CONAIE out of its building, you throw out many more people who were not even in agreement with certain choices made by CONAIE in the past. And above all, know that the homeless are today a very strong movement in our continent. The homeless of CONAIE will keep talking and continue making history.